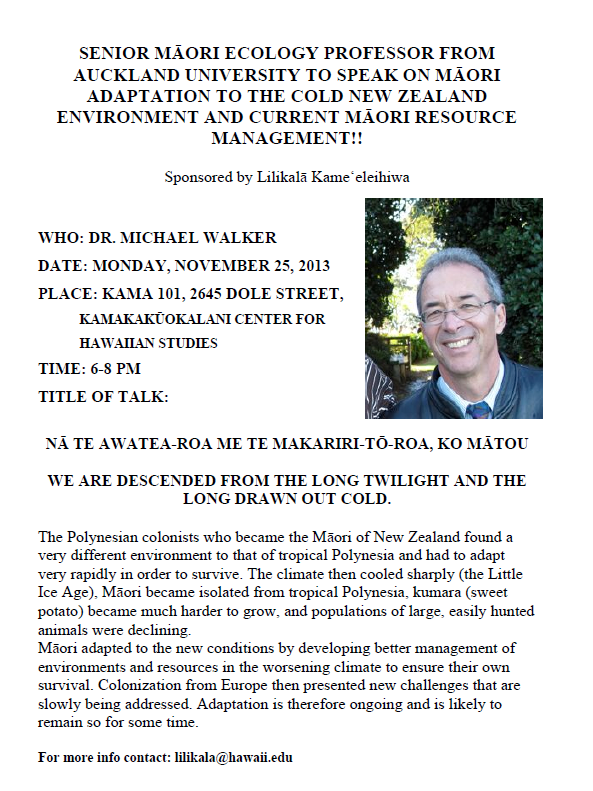 ADAPTATION TO THE COLD NEW ZEALAND ENVIRONMENT AND CURRENT MĀORI RESOURCE MANAGEMENT!! remain so for some time. Hawaiian Electric Company is currently recruiting for our 2014 Summer Internship Program. We are looking for talented, high potential college/university students to join Hawaiian Electric Company as Summer Interns in the fields of Engineering. The internship program is listed on our website at: careers.hawaiianelectric.com. Also, this is a paid internship. To be considered for the Summer Internship Program, students must:Complete an online application, which includes uploading a resume by Friday, November 22, 2013. Send two (2) letters of recommendation and official transcripts to our office (address is listed in the attached flyer), postmarked by Friday, November 29, 2013.
students not traditionally exposed to Caltech. GPA of 3.2 is required. Competitive applicants will have completed sophomore-level courses in desired research field, have demonstrated through academic and/or co-curricular activities a passion for research, and can articulate how their research interests align with Caltech’s research areas. The most competitive applicants will have prior research experience. Support: MURF students will receive a $6000 award for the ten-week program. An additional $500 housing and travel supplement will be provided. Application: Online applications are due January 8, 2014. For more information, visit www.sfp.caltech.edu/programs/murf. AMGEN SCHOLARS PROGRAM Caltech’s Amgen Scholars Program is geared towards students in biology, chemistry, and biotechnology fields. Some of these fields include biology, biochemistry, bioengineering, chemical and biomolecular engineering, and chemistry. Eligibility: Students must be current sophomores through non-graduating seniors, must be attending a four-year university, and must be U.S. citizens or U.S. permanent residents. A minimum GPA of 3.2 is required. Support: Amgen Scholars will receive a $5500 award, round-trip air transportation, a generous housing allowance, and a food allowance. Application: Online applications are due February 14, 2014. For more information, please visit www.sfp.caltech.edu/programs/amgen_scholars.